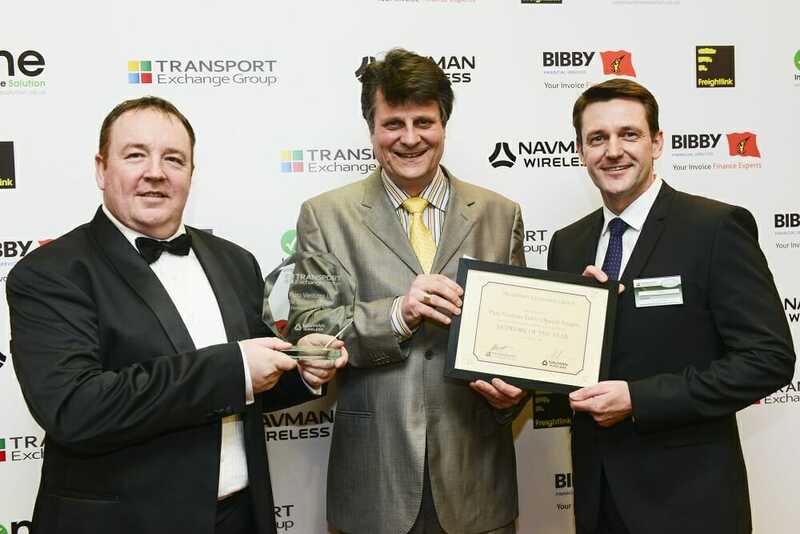 Speedy Freight’s William Timpany and Philip Dunn were presented with the award by John Merrill from Navman Wireless at the annual ceremony that took place at the prestigious Chesford Grange Hotel in Kenilworth, Warwickshire, in front of more than 300 industry professionals and business leaders. The company was one of five winners that were nominated and voted for by almost 3,000 members of Courier Exchange and Haulage Exchange in recognition of their outstanding achievement in terms of customer service, operational performance and delivery. William Timpany, national franchise manager at Speedy Freight, said: “We are honoured to have been recognised with this award. The Transport Awards, now in its twelfth year, is organised by Transport Exchange Group, the operator of the largest and fastest-growing freight exchanges within the UK. The annual event celebrates the greatest achievements amongst almost 3,000 courier and haulage member businesses over the previous year.